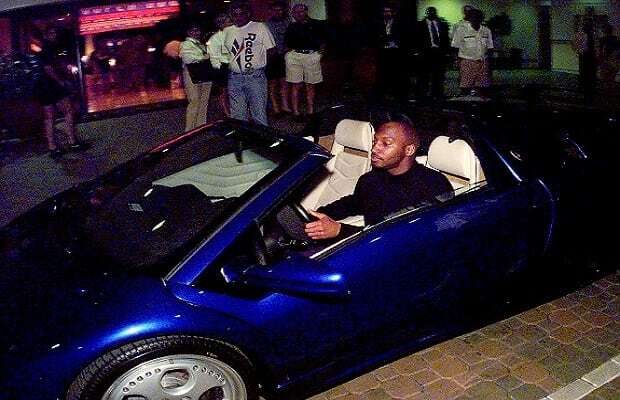 Complex Says: During Super Bowl XXXIII, the Denver Broncos' Willie Green was seen zooming around in this Lamborghini Diablo. In a rare moment of frugality for all the athletes on this list, Green never actually purchased the $300,000 vehicle, but instead simply rented it for 30 days at a price of $1,900 a day. In recent years, he's been seen driving a Dodge Ram. We're also willing to bet he saved a ton of money on his car insurance by switching to Geico.